Cable and internet are some luxuries homeowners can decide if they want or not, plumbing isn’t a luxury—it’s a basic necessity. No matter how new or how old your house is, sooner or later we all run into plumbing issues. Whether it’s a kitchen garbage disposal on the blink or a slow draining shower in the bathroom, a plumbing problem can disrupt your home sweet home. 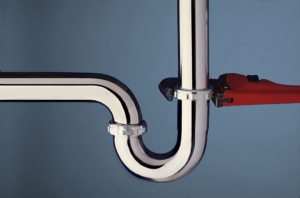 It’s frustrating and can be a costly problem when your plumbing goes out. Dripping Faucets: You’re trying to sleep and all you hear is “drip, drip, drip”. A leaky faucet can sound like a clanging symbol in the middle of the night. It’s a common irritation for homeowners. It could be a simple repair of replacing the washers or something more major. Leaking pipes: You usually don’t discover this one until the damage is done. You open the under sink cabinet and realize the stored items are soaking wet from a leaky pipe. The damage can be extensive and expensive depending on the size and duration of the leak. No Hot Water: You oversleep, wake up late and jump in the shower only to discover there is no hot water. The problem is probably your hot water heater and can range from a faulty pilot light on a gas unit to a temperature setting that is too low or it’s time to replace the heater. Running Toilets: Much like a leaky faucet, this plumbing problem simply sounds like an annoyance, but it could also be running up your water bill. Clogged drains– This is the second biggest problem with home plumbing and usually occurs in the kitchen. The cause is usually allowing large food particles or inappropriate items to slip down the drain resulting in a complete clog or slow drainage. Certainly, maintenance will go a long way in preventing some problems. Make sure to run some checkups around pipes, water heater, faucets and toilets. Your eyes and ears will give the first clues that sometime is malfunctioning. Sometimes you can do-it-yourself and handle a problem by replacing a worn out washer or tightening a pipe. This will save you the cost of a service call and repair costs if you can handle it yourself. If a simple DIY isn’t the solution, you’ll need to rely on a residential plumbing professional. If you don’t have a plumber, start with your inner circle of friends, family and co-workers for word of mouth recommendations. You can trust the people closest to you to give a pretty fair review of their plumbers. Try to get at least two or three plumbers to call and compare. Know before you call that plumbing services can range from $45 to $125 per hour for various services like leak repairs or sewer line problems. Keep in mind also, that rate goes up if calling during off peak hours of operation like weekends, nights or holidays. Time is money, so keep pleasantries to a minimal and get the plumber straight to the problem and to work.